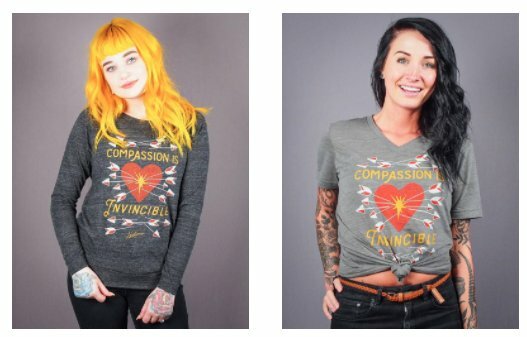 Check out all the newest Compassion gear! We made you a cozy slouchy pullover, the softest unisex v-neck tee and a fluffy hooded zip-up fleece to chose from! We know your compassionate choices make the world a better place. Wear these and show everyone else just how good it is to be an Herbivore! We're vegan and we love you!